YAYBOOKS! 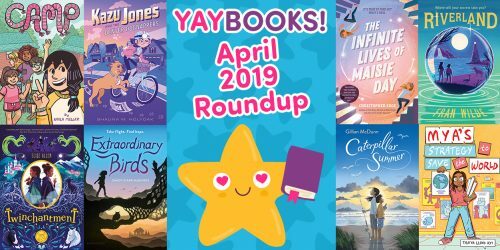 October 2018 Roundup | YAYOMG! October is here, and along with the changing leaves and trick or treating, it also means new books! Our YAYBOOKS! 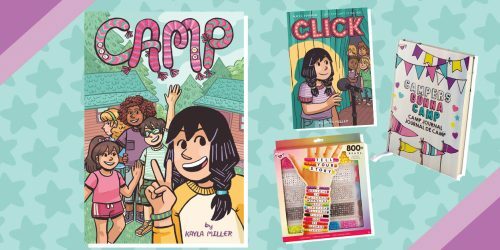 October 2018 Roundup is filled with over 50 brand new books and graphic novels, all ready to take you on exciting adventures. Grab your favorite pumpkin spiced anything and get ready to discover your new favorite book. Since October is National Book Month, it’s the perfect time to hit up your local library, try a genre you’ve never read before, or read a story about someone with a life completely different than your own. 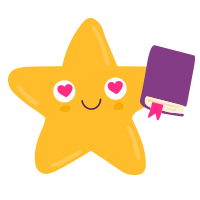 We have a lot of really fun book happenings lined up for our readers this month, so be sure to check back each week! 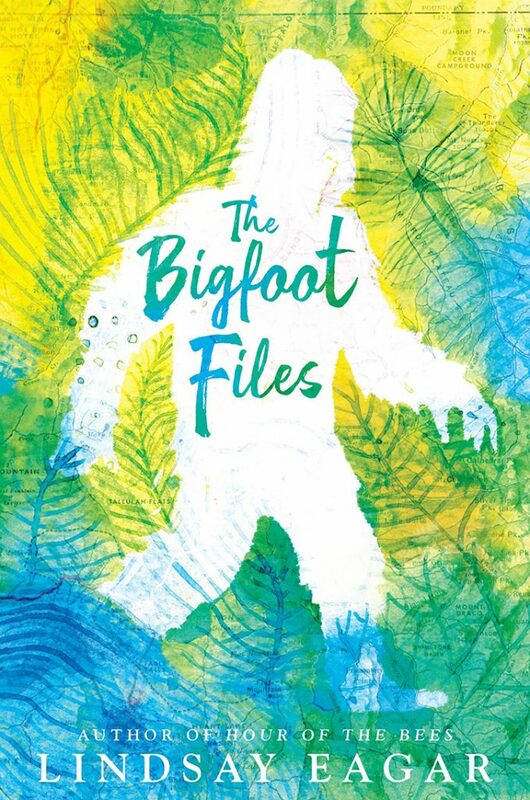 As always, we’ve made note of the books and authors we’re celebrating this month, so scroll through the list for all of the exciting news. In front of her followers, Daphne is a hilarious, on-the-rise vlog star. 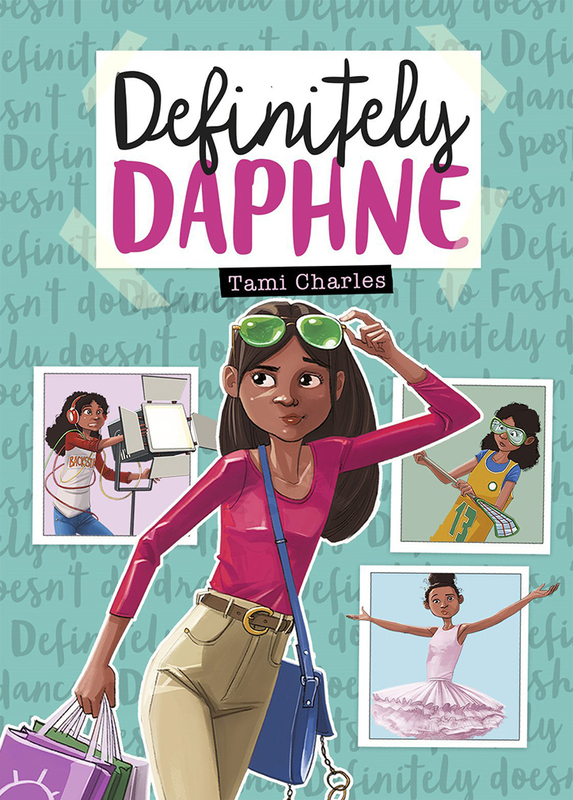 But at school Daphne is the ever-skeptical Annabelle Louis, seventh-grade super geek and perennial new kid. 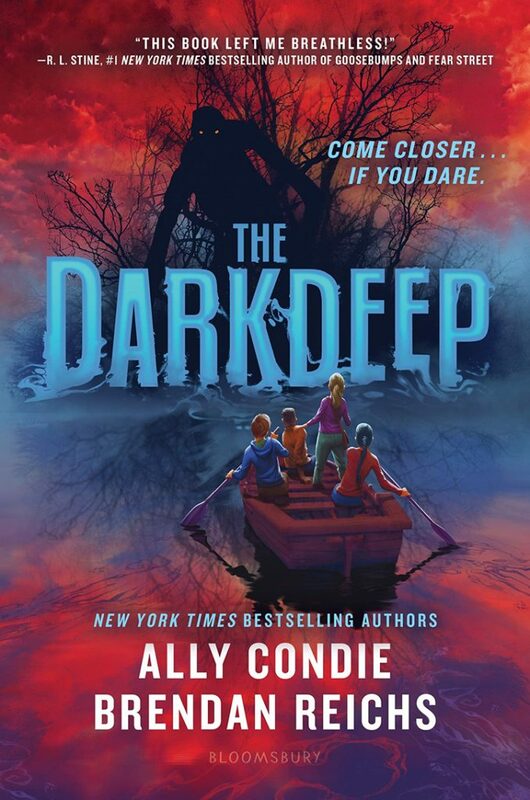 To cope with her mom’s upcoming military assignment in Afghanistan and her start at a brand new middle school, Annabelle’s parents send her to a therapist. 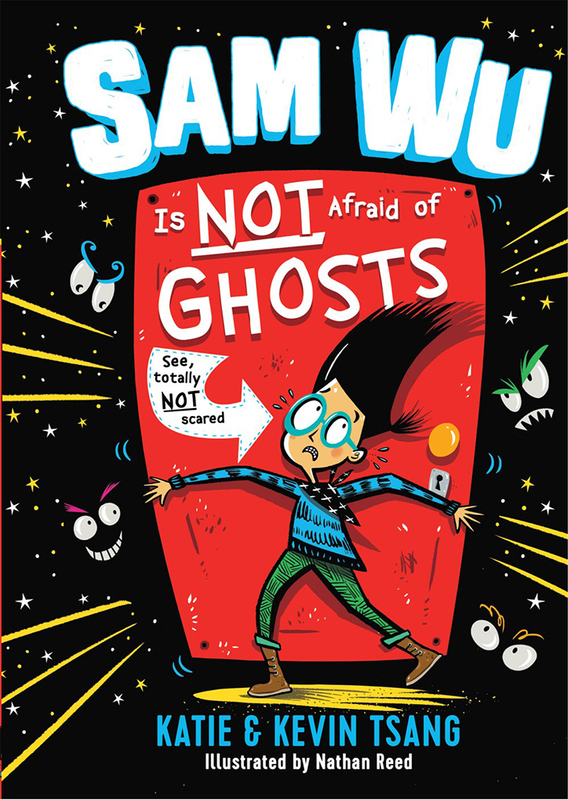 Dr. Varma insists Annabelle try stepping out of her comfort zone, hoping it will give her the confidence to make friends, which she’ll definitely need once Mom is gone. Luckily there is one part of the assignment Annabelle DOES enjoy–her vlog, Daphne Doesn’t, in which she appears undercover and gives hilarious takes on activities she thinks are a waste of time. She is great at entertaining her online fans, yet her classmates don’t know she exists. Can Annabelle keep up the double life forever? 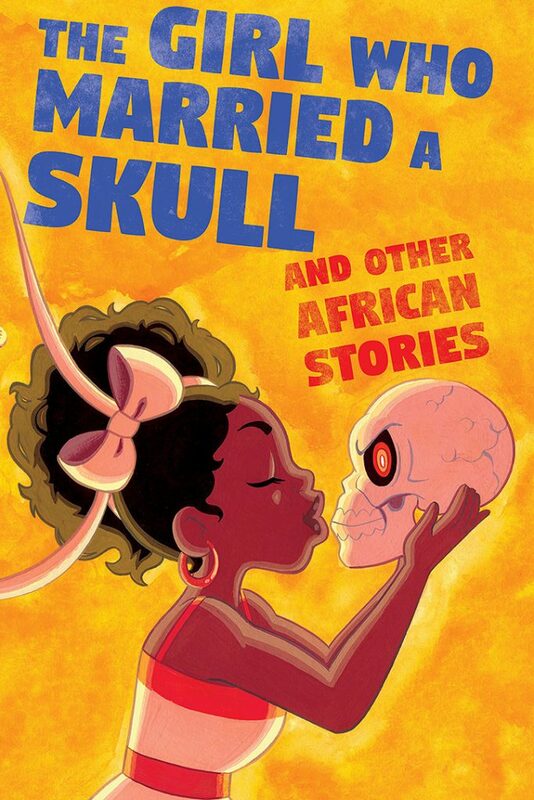 Have you heard the one about the skull who borrowed body parts to pass himself off as a complete human so he could trick the village beauty into marriage? Well, what about when Frog and Snake’s daughters had a play date? Okay, okay. But surely you’ve heard the story about the crocodiles who held a vote on whether or not to eat a man that had saved one of their lives? NO? Wow. Have we got some stories for you. 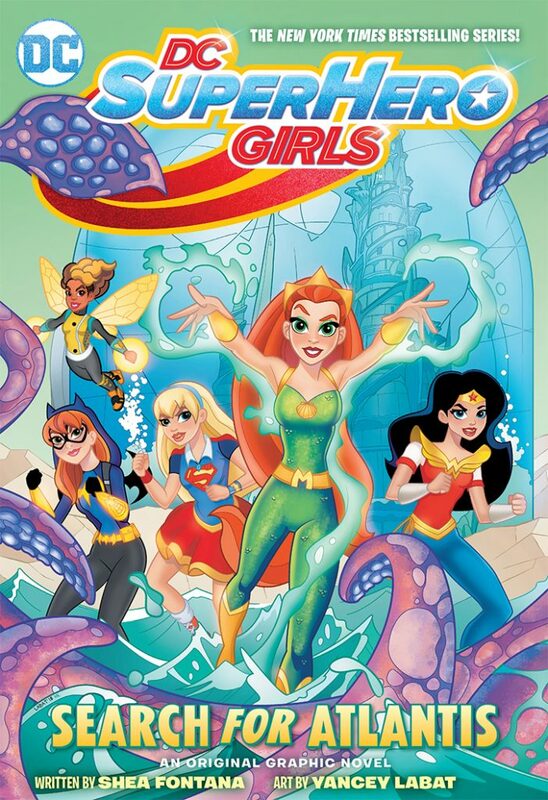 We’re so excited to share that we’ve teamed up with DC Kids and writer Shea Fontana to bring you lots of SUPER fun facts about the latest DC Super Hero Girls graphic novel, Search for Atlantis! 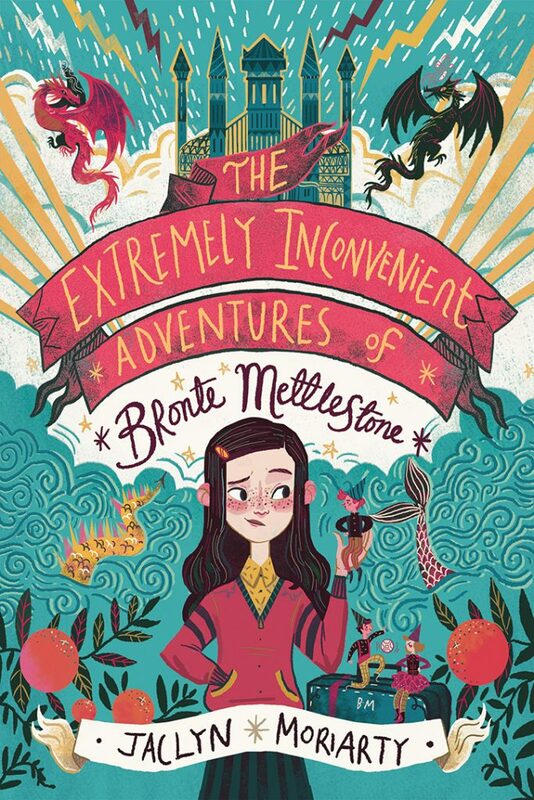 Click here to get your cape on and join the girls on their big adventure! Mera is the new girl at Super Hero High, and when Wonder Woman takes Mera under her wing, Wonder Woman’s best friend Bumblebee is overcome with jealousy. Despite her feelings, Bumblebee accompanies Mera and the Super Hero Girls on a field trip to Atlantis. But when they arrive, Atlantis is missing! 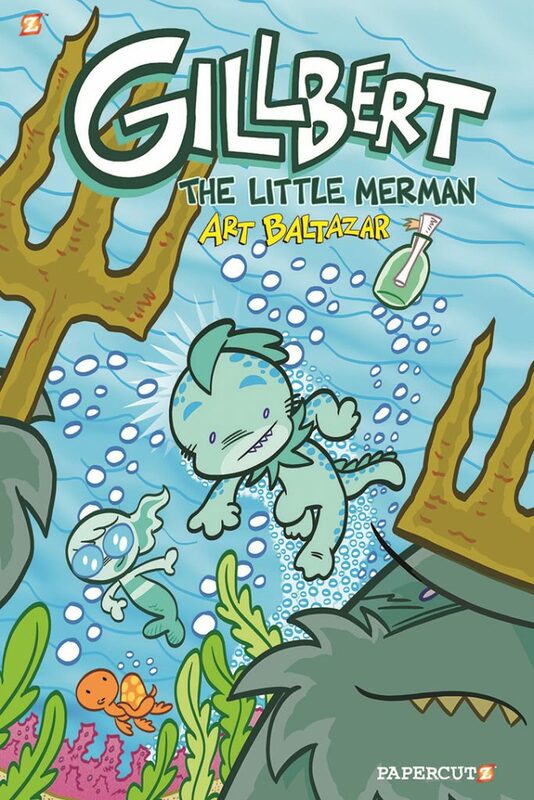 Mera is horrified when they discover that Brainiac has shrunken and stolen Atlantis with the Atlanteans trapped inside! The Super Hero Girls must work together to defeat Brainiac and, along the way, Bumblebee must learn the true meaning of friendship. 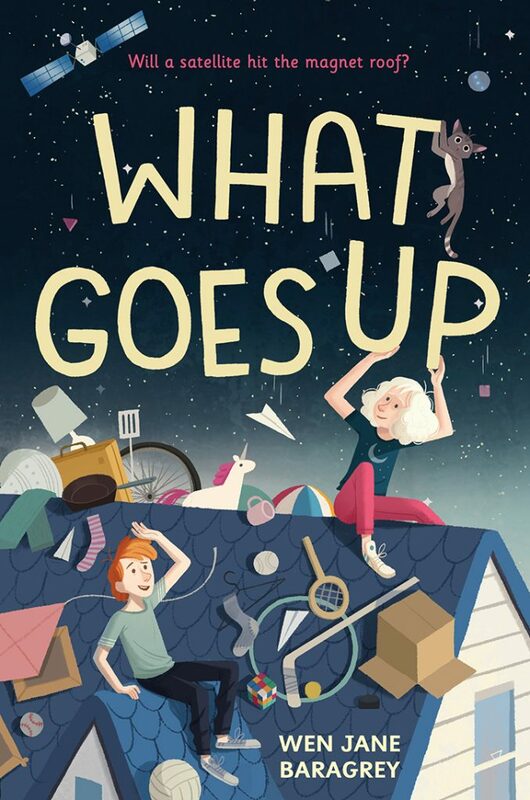 From award-winning author Beth Vrabel comes a new middle-grade Breakfast Club drama set in an old folks’ home. 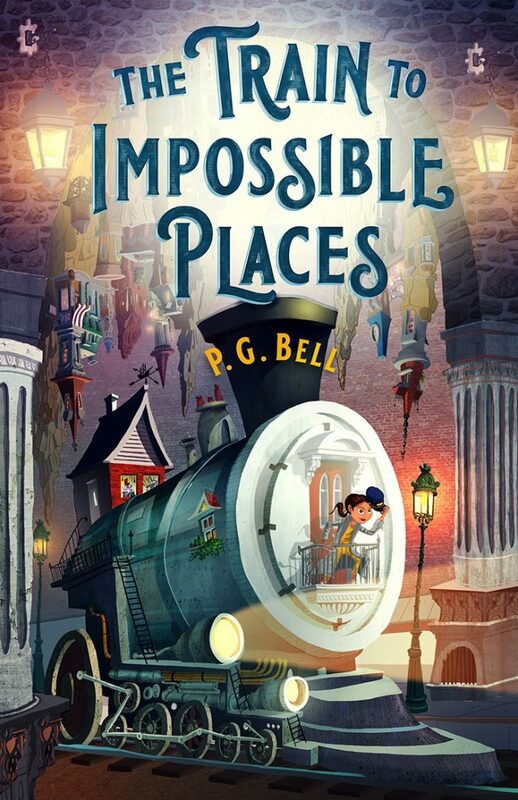 A nonstop middle-grade fantasy adventure, The Train to Impossible Places by debut author P. G. Bell is as fun as it is full of heart, and the first book of a planned trilogy. 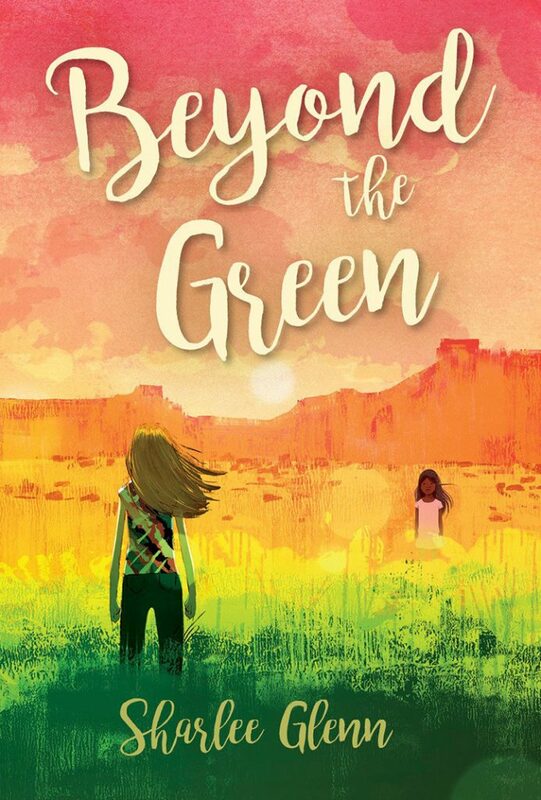 In this semi-autographical coming-of-age story set in 1979, Britta has just found out that her foster sister, Dori, is going back to live with her birth mother on the Uintah-Ouray Indian Reservation in Utah. But Britta isn’t going to give up her little sister easily. Eleven-year-old Britta’s big Mormon family took in little Dori–a member of the Ute tribe–as a baby. Now, four years later, Dori’s birth mother, Irene, is ready to take Dori back. Blunt and feisty, Britta is filled with anger. How can Irene claim Dori when she’s been gone all this time? Britta will stop at nothing to keep her sister, even if it means running away. Hard as it is, though, she begins to see beyond her own biases, beyond the green of her little farming community, and beyond her own ideas of what makes a family. 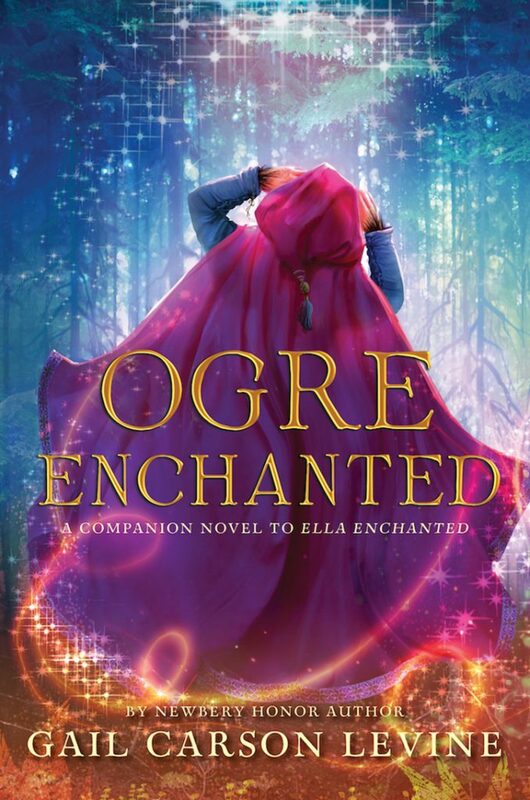 In the magical fairytale kingdom of Enchantasia, becoming a legendary Prince or Princess doesn’t happen overnight. Enter Royal Academy, the training ground for the fairytale leaders of tomorrow! 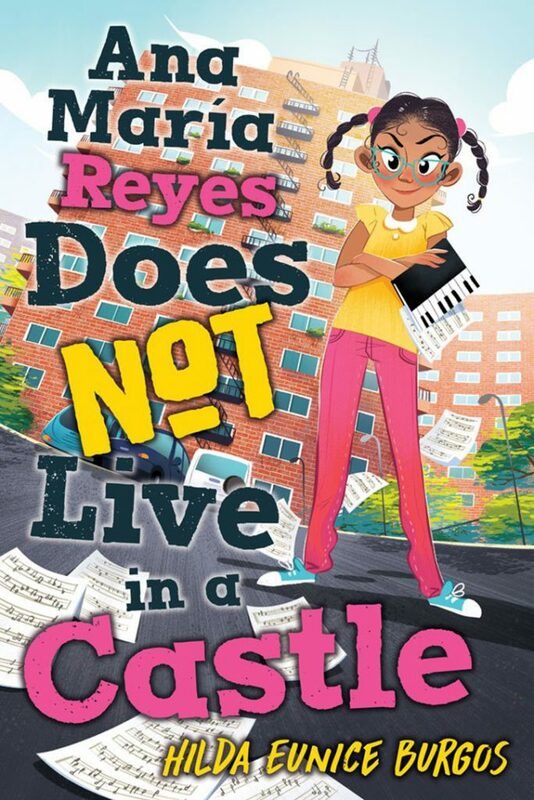 Her last name may mean “kings,” but Ana Maria Reyes REALLY does not live in a castle. Rather, she’s stuck in a tiny apartment with two parents (way too lovey-dovey), three sisters (way too dramatic), everyone’s friends (way too often), and a piano (which she never gets to practice). And when her parents announce a new baby is coming, that means they’ll have even less time for Ana Maria. 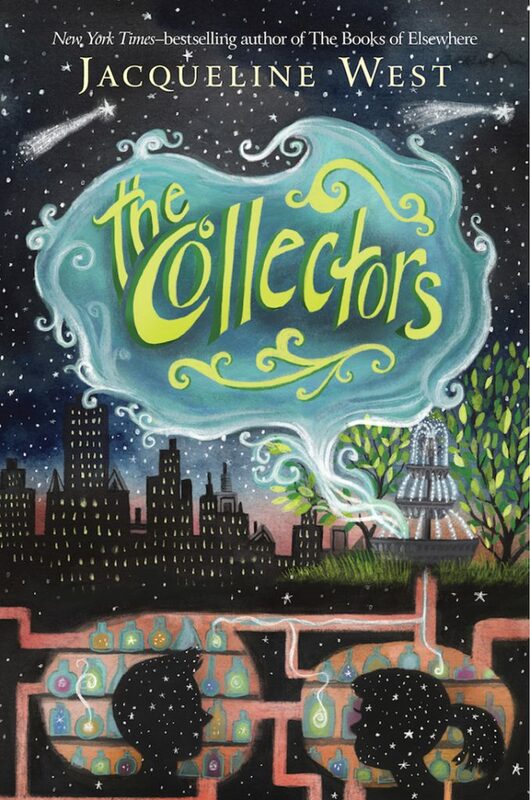 Then she hears about the Eleanor School, New York City’s best private academy. If Ana Maria can win a scholarship, she’ll be able to get out of her Washington Heights neighborhood school and achieve the education she’s longed for. To stand out, she’ll need to nail her piano piece at the upcoming city showcase, which means she has to practice through her sisters’ hijinks, the neighbors’ visits, a family trip to the Dominican Republic . . . right up until the baby’s birth! But some new friends and honest conversations help her figure out what truly matters, and know that she can succeed no matter what. Ana Maria Reyes may not be royal, but she’s certain to come out on top. 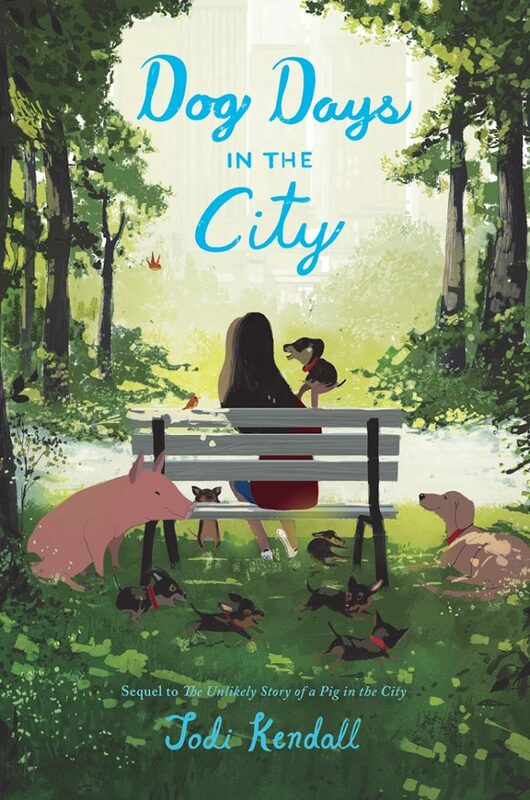 Dog Days in the City is a heartwarming blend of coming-of-age and animal friendship story that is perfect for fans of Ann M. Martin’s Rain Reign, Joan Bauer’s Almost Home, and Barbara O’Connor’s Wish. 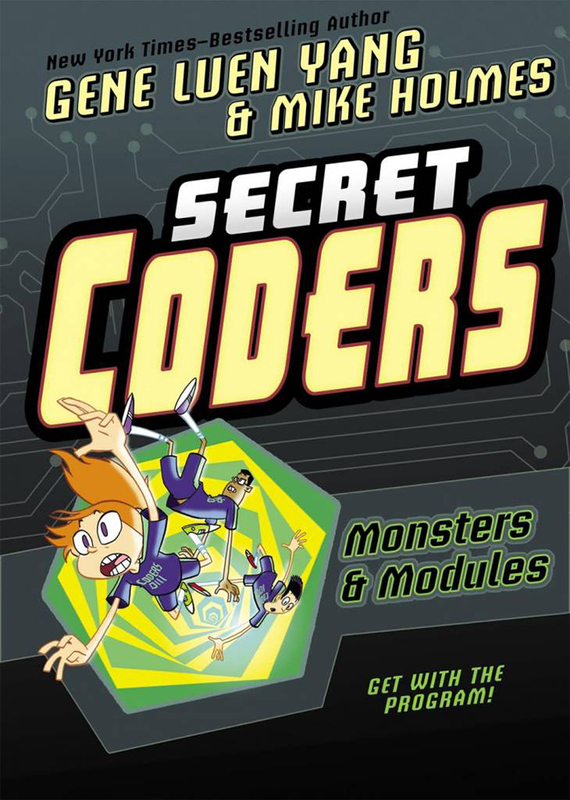 The final volume in a series that combines logic puzzles and basic coding instruction with a mystery plot! 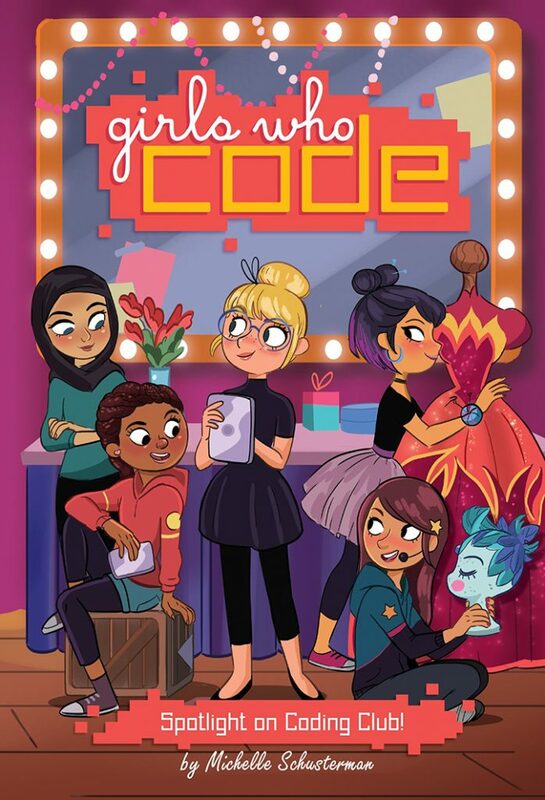 The Coders always knew their programming skills would take them far, but they never guessed they would take them to another dimension! 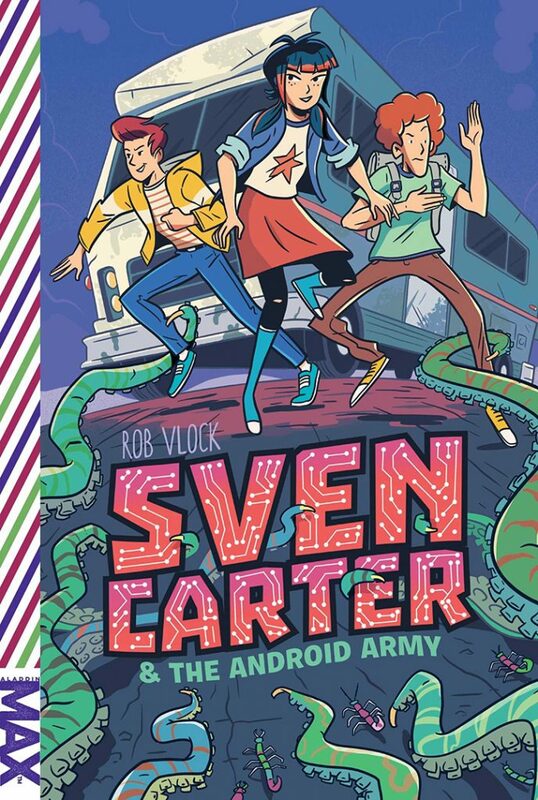 Or to be accurate, one dimension less—to save humanity, Hopper, Eni, and Josh must travel to Flatland, a dangerous two-dimensional world ruled by polygons. If they can return home safely with a turtle of light, they might just stand a chance in their final showdown with Dr. One-Zero! 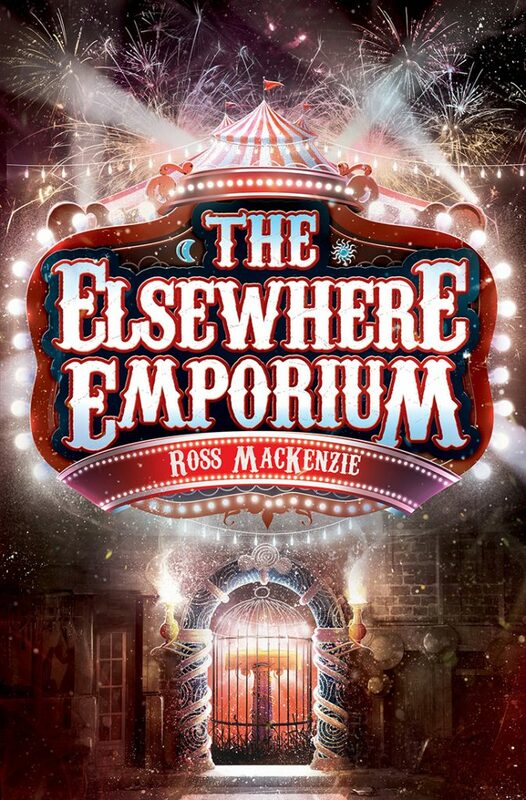 As they search for the lost Emporium, Daniel and Ellie encounter magical bookshops, deserted islands in the dead of night, and an array of magicians (both dead and alive). Meanwhile, a dangerous force is attacking the Emporium from the inside, waiting for a chance to break free. 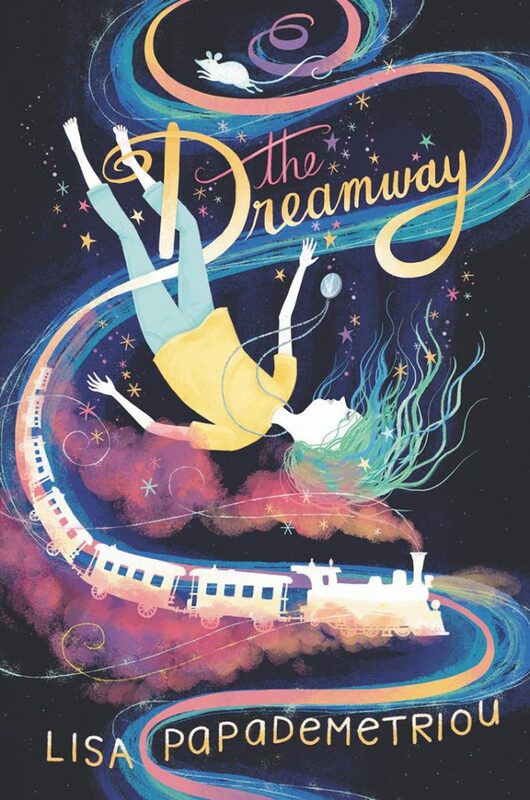 In this highly anticipated sequel to the award-winning Nowhere Emporium, readers will once again be transported into a magical realm where imagination is power and anything is possible. Loyal fans will be astonished by the new wonders beyond the Emporium’s doors as the gripping mystery unfolds. Declan O’Brien always had a gentle word to share, odd phrases he liked to repeat, and songs to sing while he played basketball. His favorite song was “Dona Nobis Pacem” “Grant Us Peace.” His family loved him deeply and always knew they were loved in return. Lily has lived with her mom since her parents got divorced several years ago, and her dad has recently remarried to a woman with a daughter her age named Hannah. 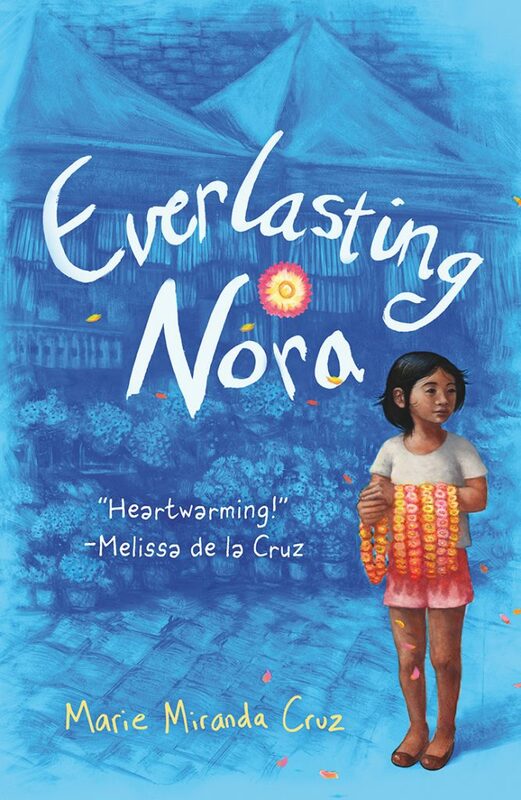 But now, Lily’s mom has gotten a once-in-a-lifetime work opportunity in Africa and she’ll be gone for a year, so Lily is moving in with her dad–and new stepmom and new stepsister. 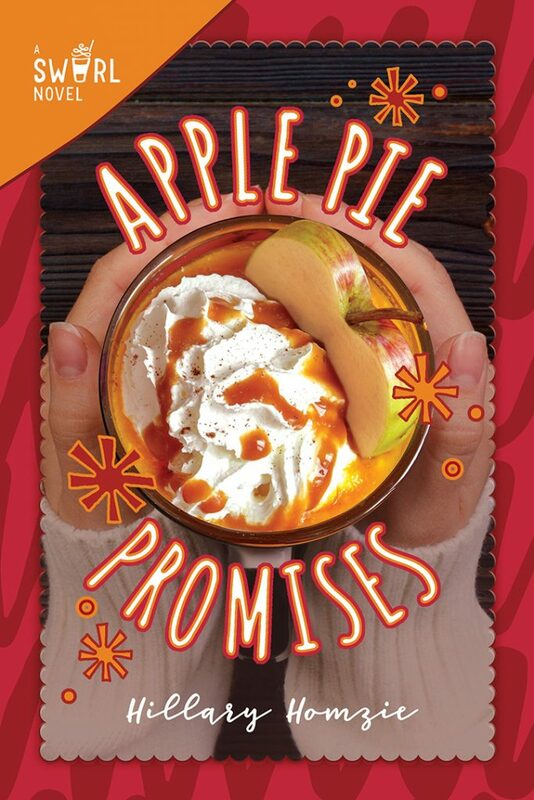 It’ll be as easy as apple pie, right? Wrong. 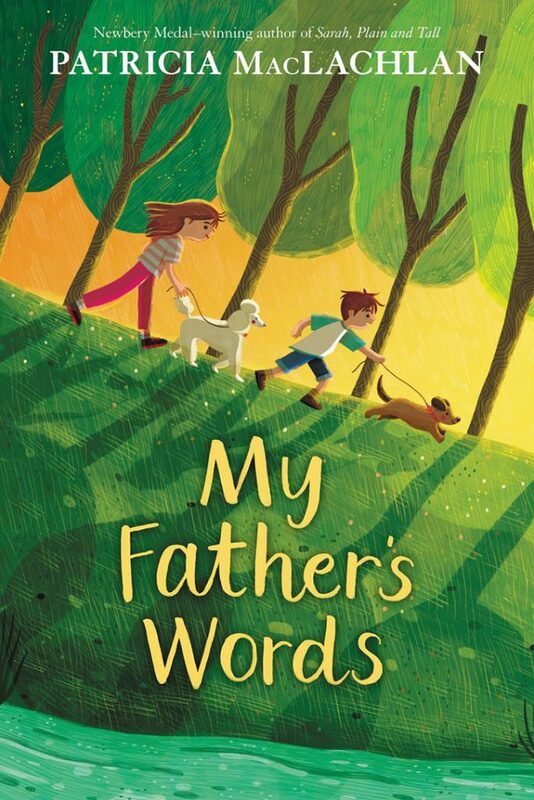 Lily promises her dad that she’ll try to get along with everyone, but she is not happy about it. Her stepmom is nice, but she’s no replacement for her real mom, and Lily feels like she barely gets any one-on-one time with her dad anymore. The real problem, though, is Hannah. 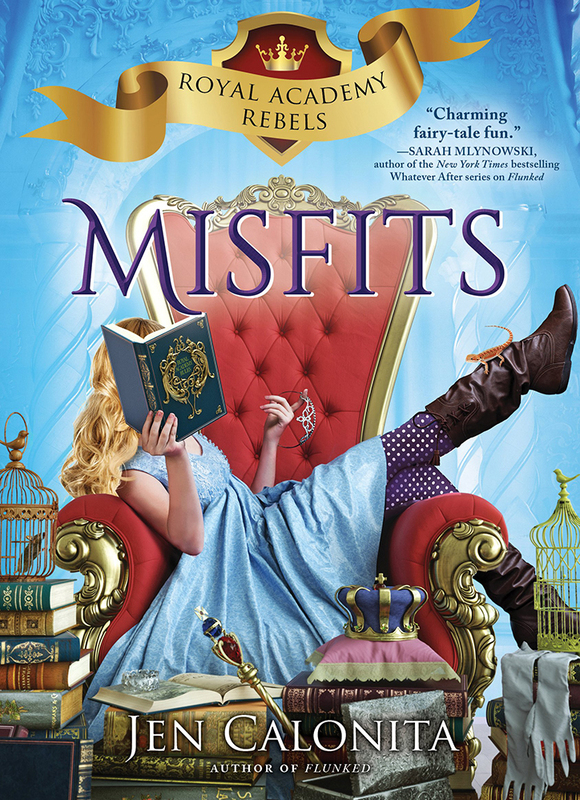 What starts out as tension between the new stepsisters becomes a full-on war, both at home and at school. Harmless pranks turn into total sabotage. 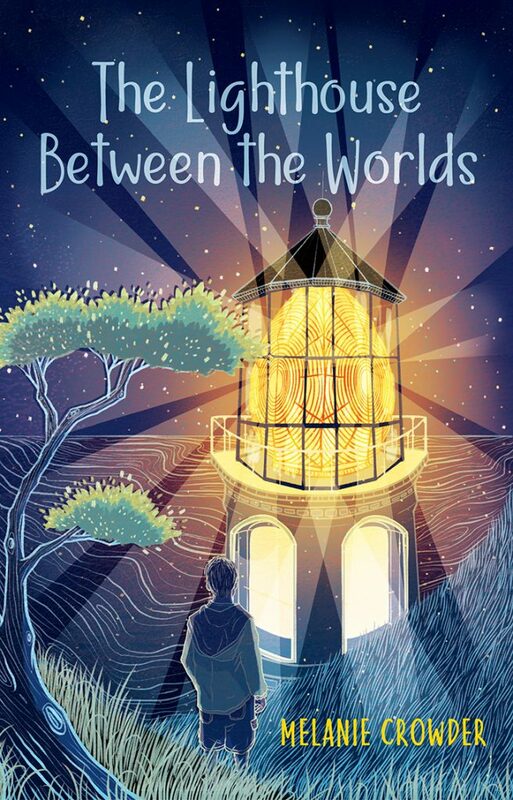 Can Lily survive the year–or is her family fractured beyond repair? 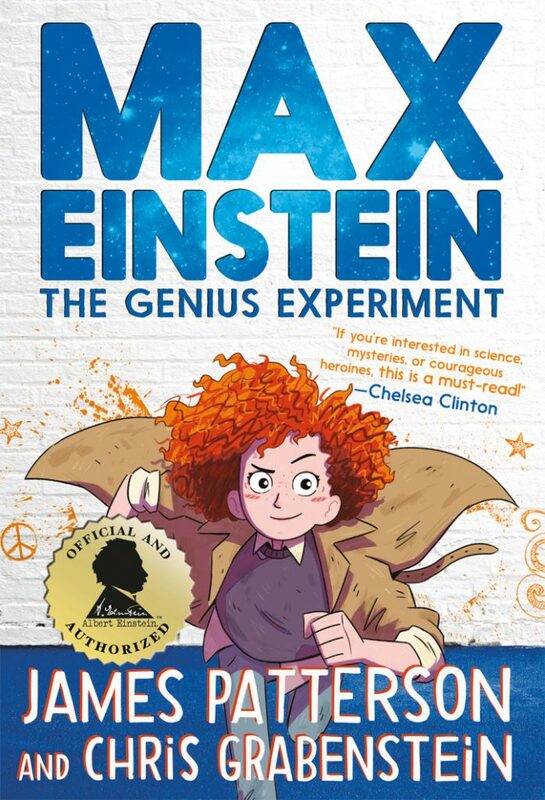 The world’s #1 bestselling author has teamed up with the world’s most famous genius to entertain, educate and inspire a generation of kids – with the first and only kids’ book series officially approved by the Albert Einstein Archives. This does not bother her particularly: her parents ran away to have adventures when she was a baby. She has been raised by her Aunt Isabelle, with assistance from the Butler, and has spent a pleasant childhood of afternoon teas and riding lessons. Now, however, her parents have left detailed instructions for Bronte in their will. (Instructions that, annoyingly, have been reinforced with faery cross-stitch, which means that if she doesn’t complete them, terrible things could happen!) She travels the kingdoms, perfectly alone, delivering gifts to ten other aunts: a farmer aunt who owns an orange orchard, a veterinarian aunt who specializes in dragon care, a pair of aunts who captain a cruise ship, and a former rock star aunt who is now the reigning monarch of a small kingdom. On the eve of a visit from Heidi, more bad luck hits Aurora’s family. There’s a fire in their attic, destroying a good part of their house. 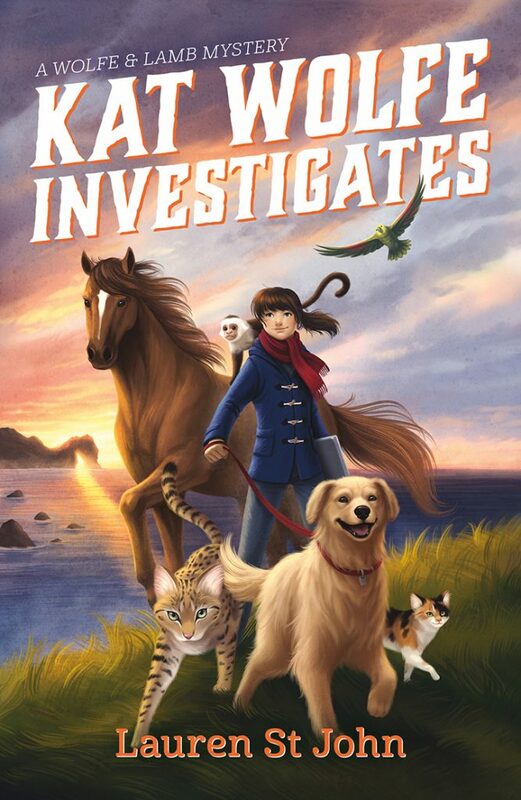 And, even worse, Aurora’s beloved dog goes missing. Aurora and her family have always believed in soof — Heidi’s mom’s word for love. 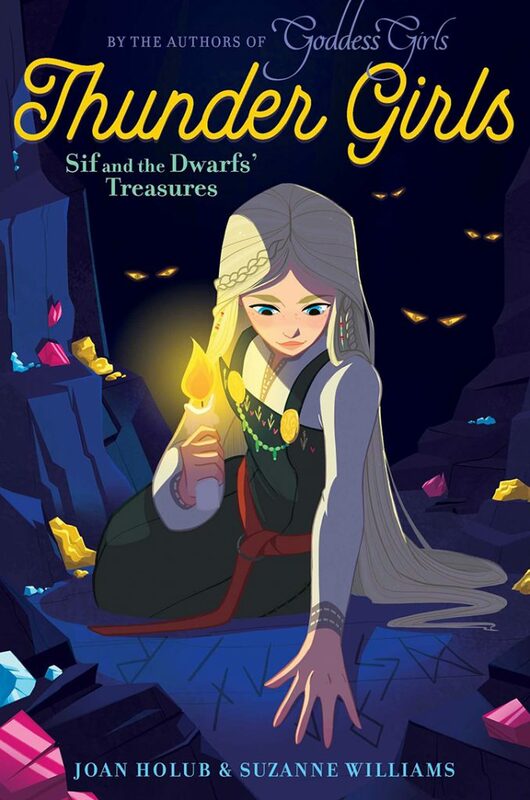 But sometimes even when soof is right there in front of you, you still need to find it — and that’s exactly what Aurora is going to do. 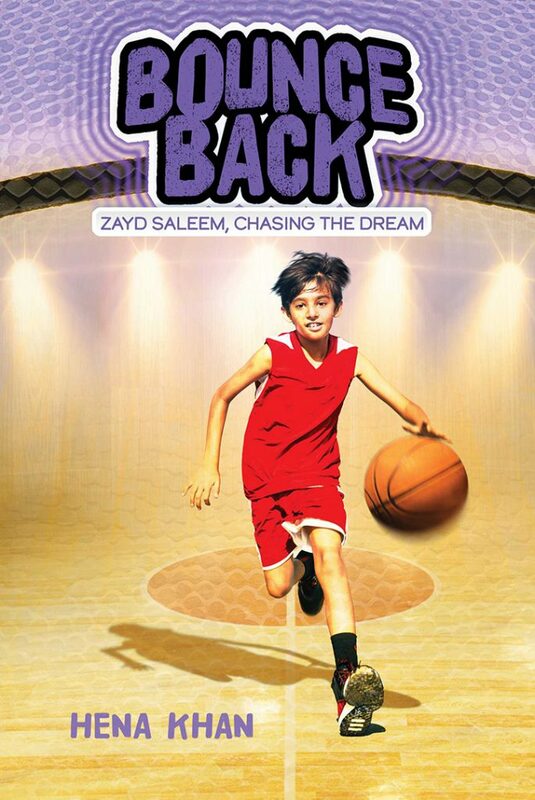 GAVIN finally joins the football team–a dream come true!–but Coach Holmes refuses to play him for reasons that also threaten to tear Gavin’s family apart. 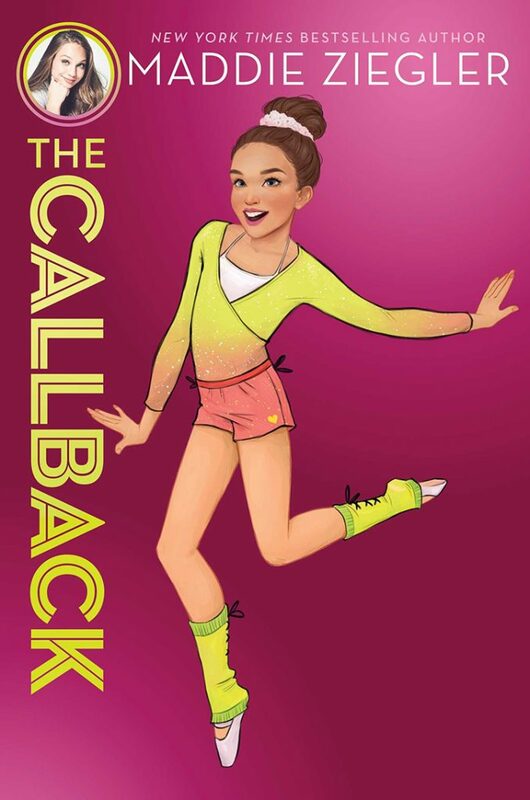 When RANDI attends an elite gymnastics camp, she uncovers a startling family connection. SCOTT starts researching an article for the school newspaper and stumbles right into a hornet’s nest of lies. 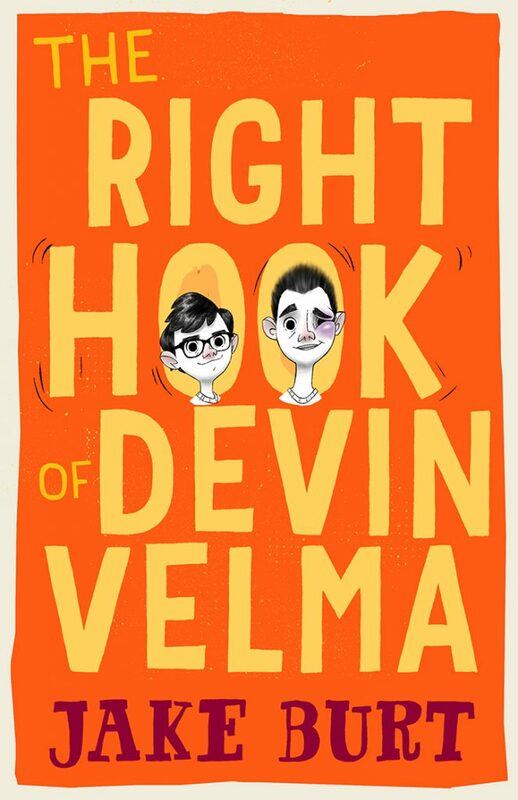 With his loser older brother, Brian, out of the house, TREVOR’s life is loads better–until he realizes that only he can save Brian from getting into deep trouble. 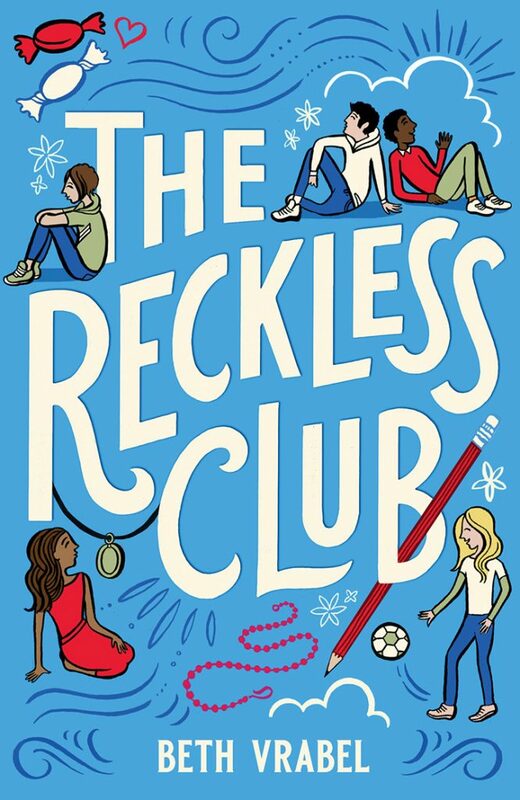 NATALIE’s top goals: (1) find out why Mrs. Woods and Mrs. Magenta no longer speak to each other–a mission shared by all the kids–and (2) teach a certain someone an important life skill without anyone knowing. 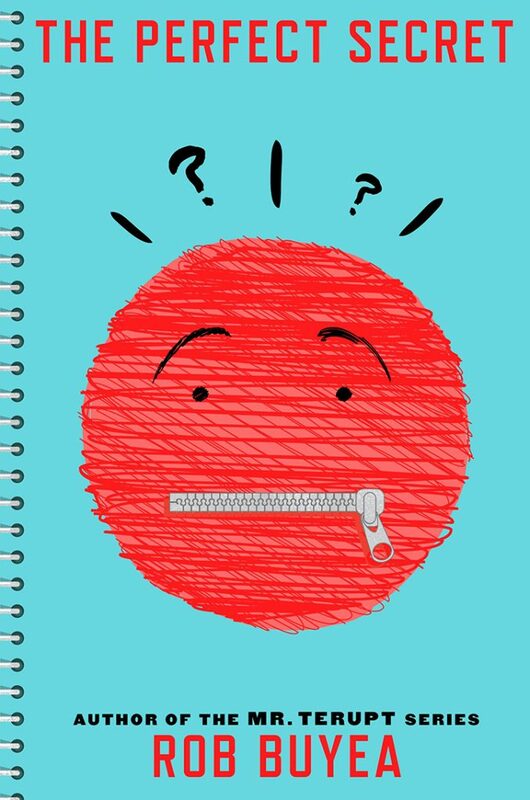 It’s tough keeping secrets. And tougher still to deal with the fallout when secrets spill out. 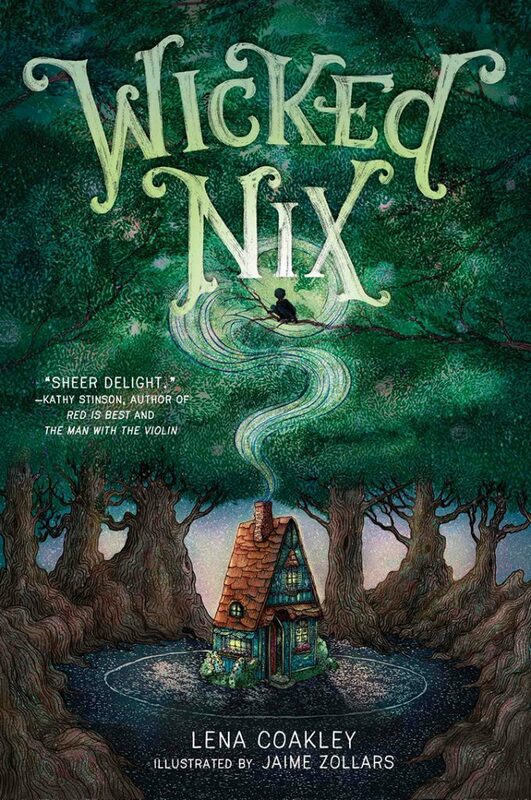 The Magic Misfits by Neil Patrick Harris meets Disney’s Hocus Pocus in this rollicking illustrated middle grade novel about two aspiring magicians who stumble upon real magic in their small town. 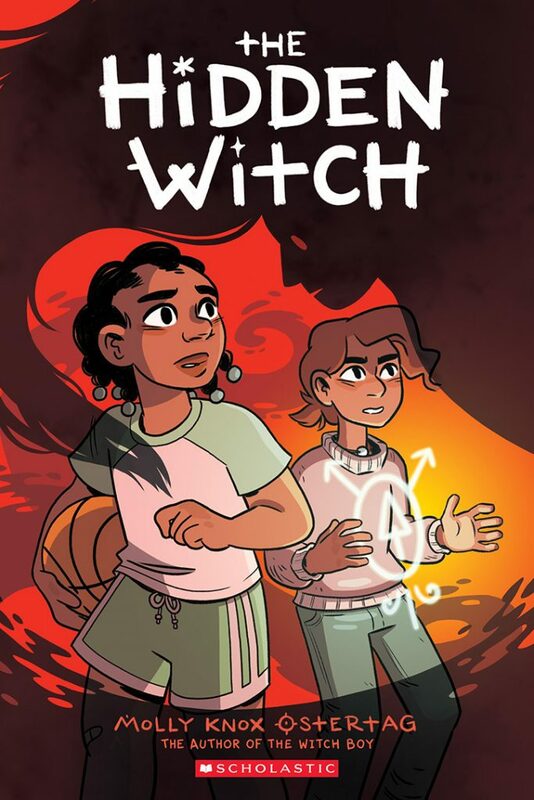 After they (accidentally) steal the witch’s magic wand, the duo uses it to put on an impossible new act—which draws even more dangerous foes to town in search of their secret. 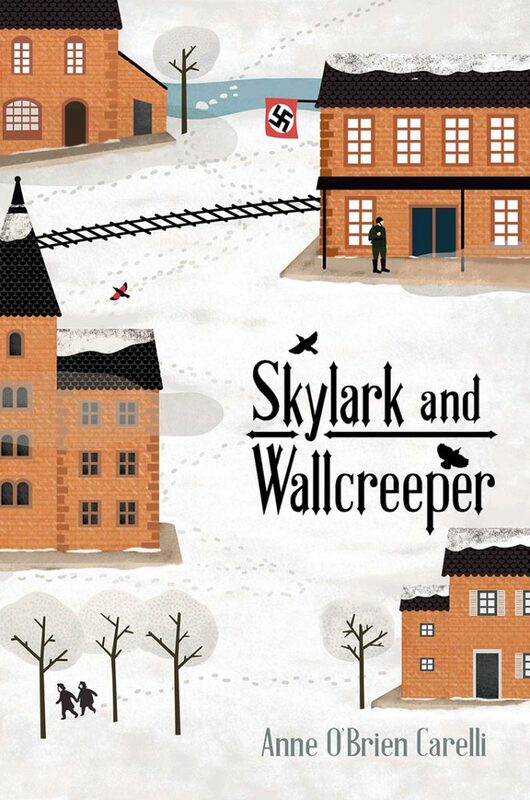 How are these two friends supposed to defeat the powerful dark forces threatening their town? Well, it may just take some sleight-of-hand, a bit of magic…and (allegedly) a little destruction of public property. 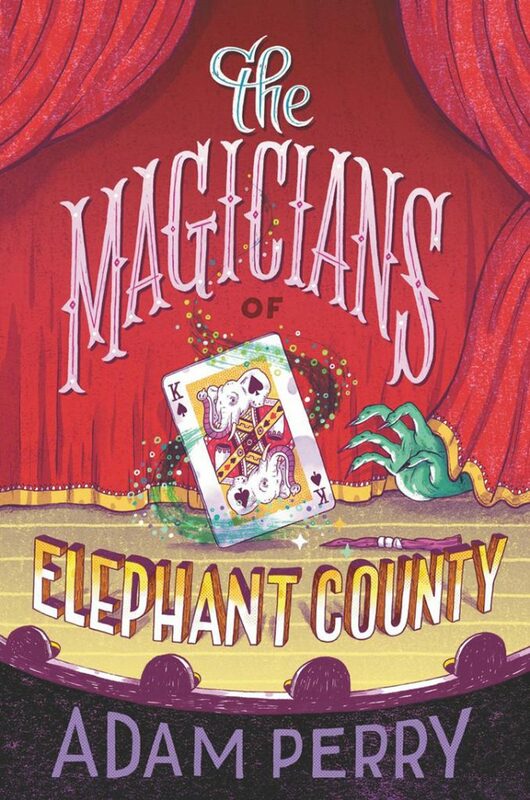 The Magicians of Elephant County is told through alternating chapters of Duncan’s and Emma’s hilarious witness testimony—and is paired with full-page artwork of evidence—as local police try to expose the truth about what really happened in Elephant County. 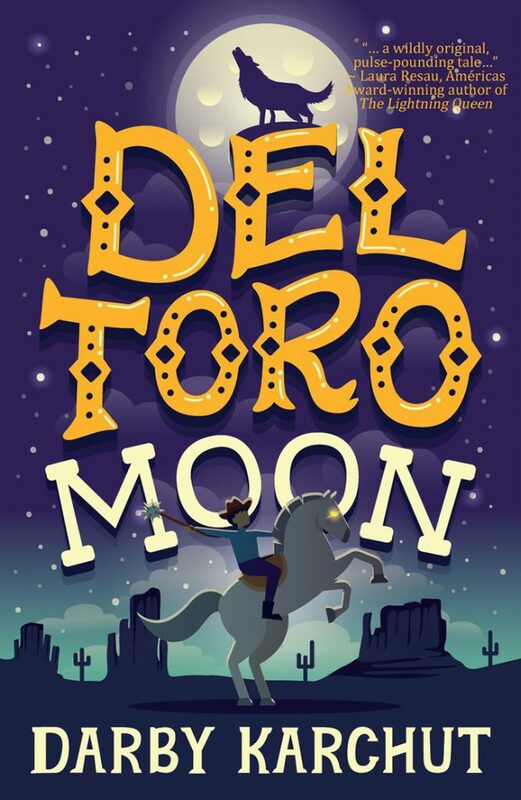 Perfect for fans of Natalie Lloyd, Tom Angleberger, and Chris Grabenstein, this debut novel is sure to dazzle young readers and deliver one surprise after another like only the best magic tricks can! 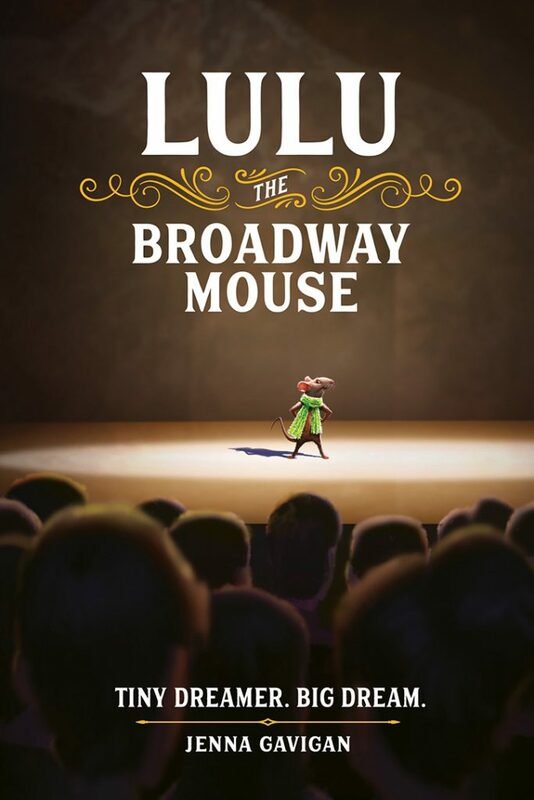 Mr. Popli, the mouse mayor of Garbage Island, is always at odds with Archibald Shrew, a brilliant but reckless inventor. 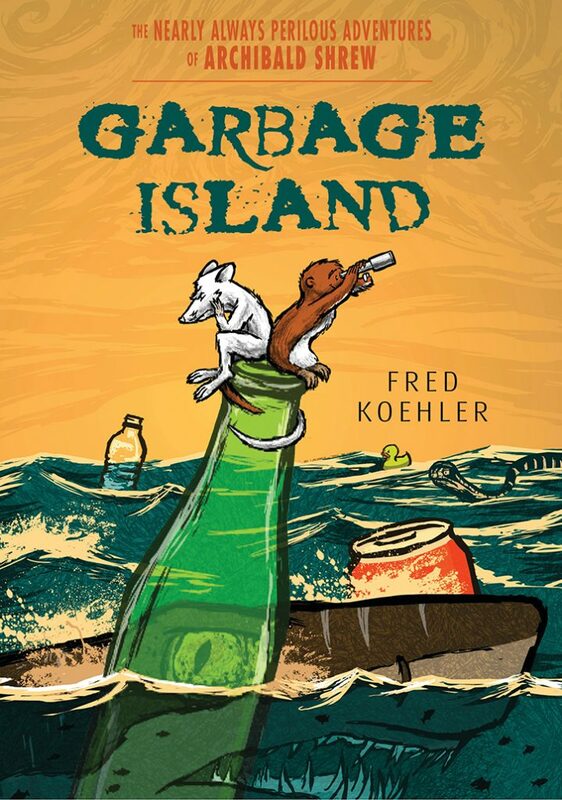 When Garbage Island, their home in the Great Pacific Garbage Patch, splits apart, they are trapped together in Mr. Popli’s houseboat, desperate to find their way back home. At first, they only argue, but when they face a perilous thunderstorm and a series of predators, they begin to work together and recognize – in themselves and in each other – strengths they didn’t know they had. 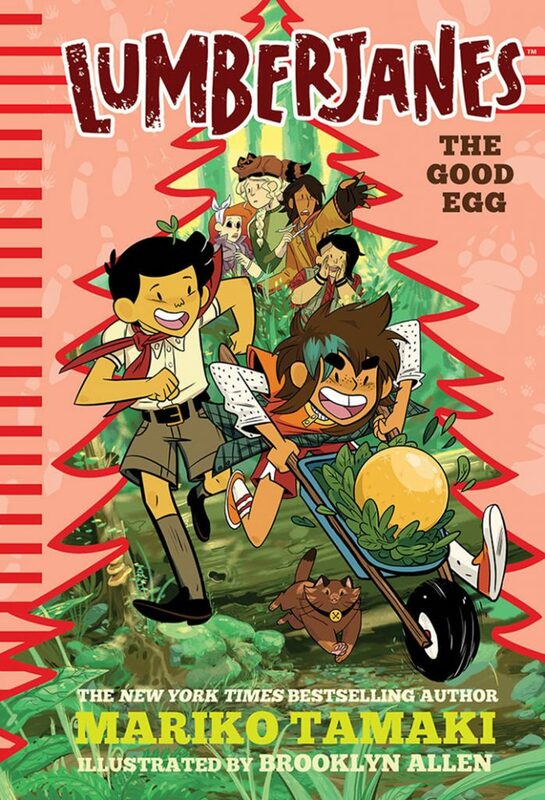 We’re so excited to share that we’ll be hosting creator Katie O’Neill later this month! 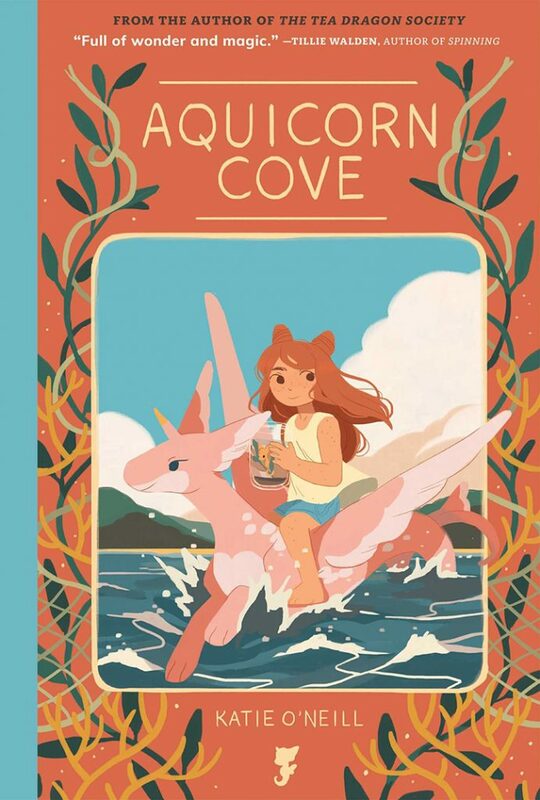 Join her as she takes readers beyond the panels of her whimsical and enchanting new graphic novel, Aquicorn Cove! From the first moment we discovered Sanity and Tallulah, we knew it would be something special. 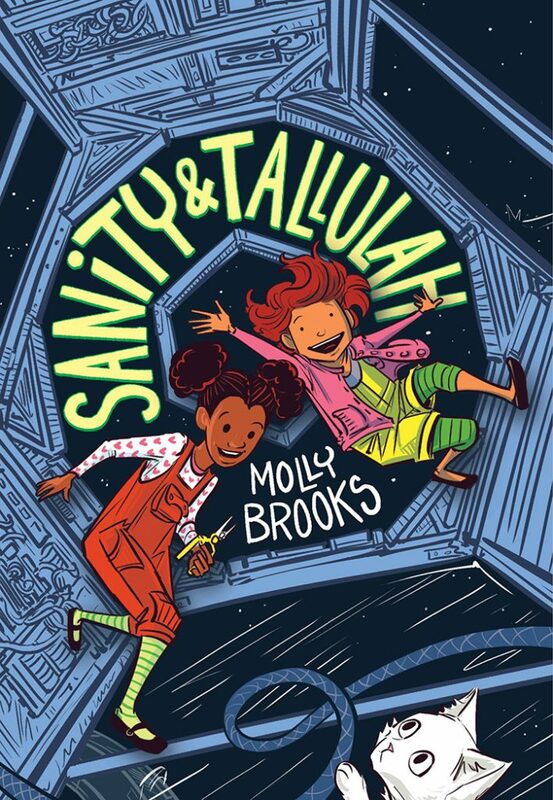 Join creator Molly Brooks later this month for a peek into this science-fueled, space adventure! 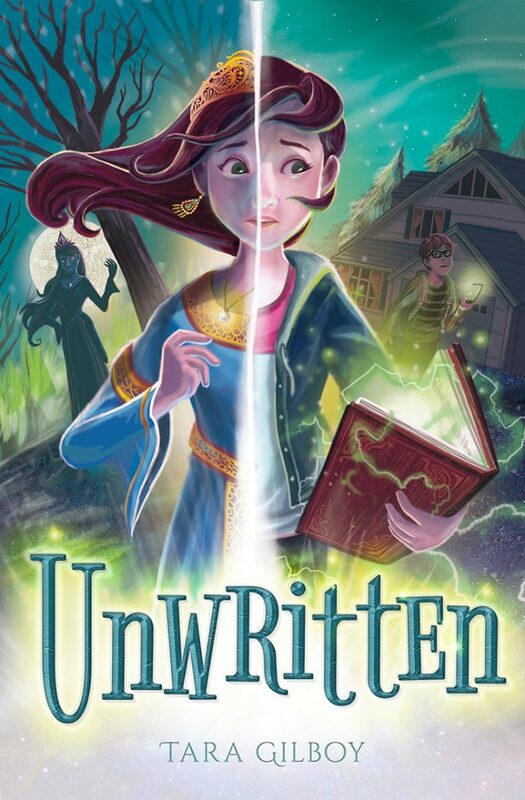 From the authors of the Goddess Girls series comes the second book in a brand-new series steeped in Norse mythology, magic, adventure, and friendship. 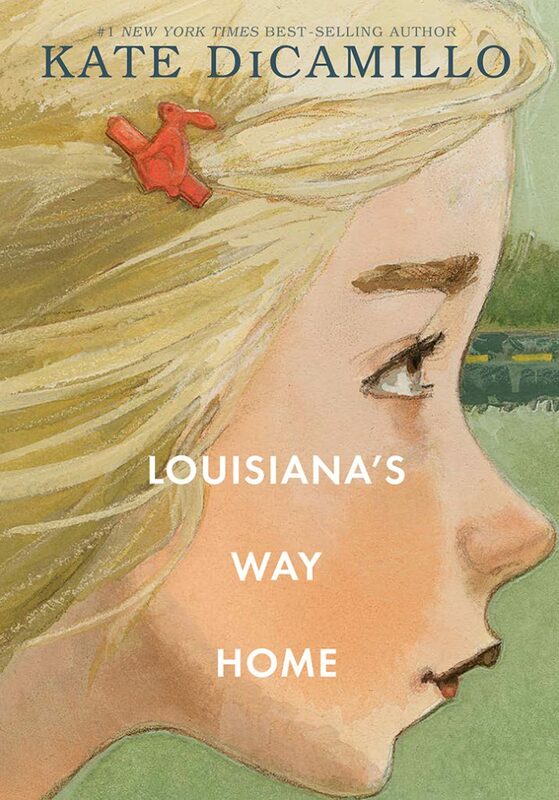 But Gracie longs to know what the story says about her. 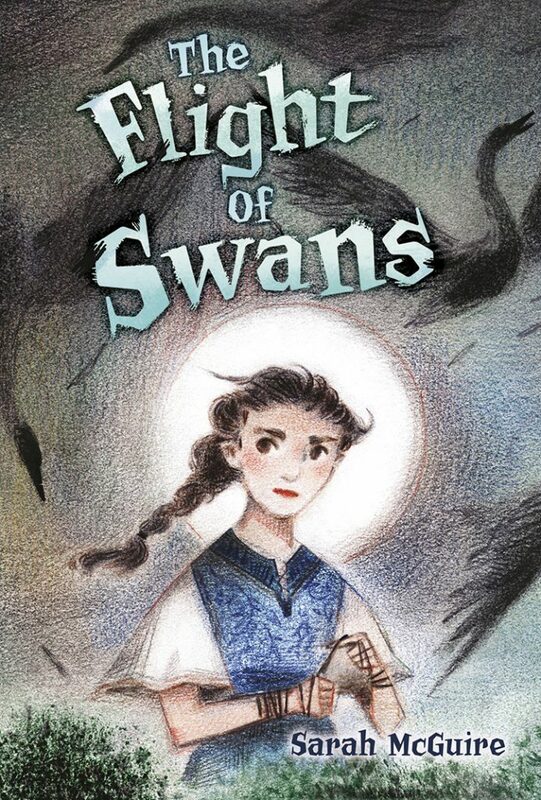 Despite her mother’s warnings, Gracie seeks out the story’s author, setting in motion a chain of events that draws herself, her mother, and other former storybook characters back into the forgotten tale. 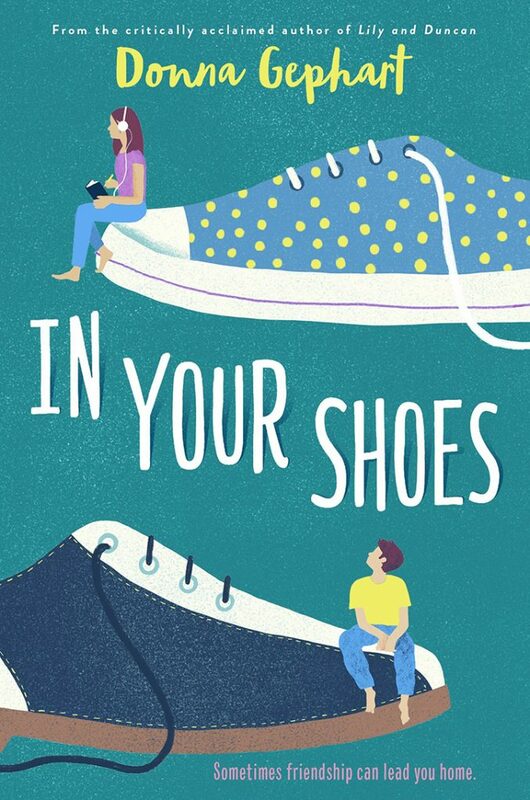 Inside the story, Gracie struggles to navigate the blurred boundary between who she really is and the surprising things the author wrote about her. 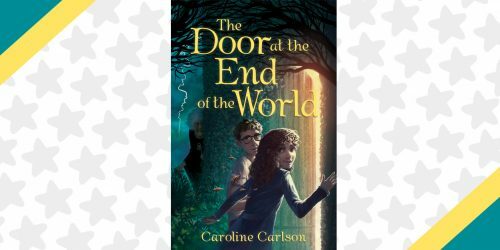 As the story moves toward its deadly climax, Gracie realizes she’ll have to face a dark truth and figure out her own fairytale ending. 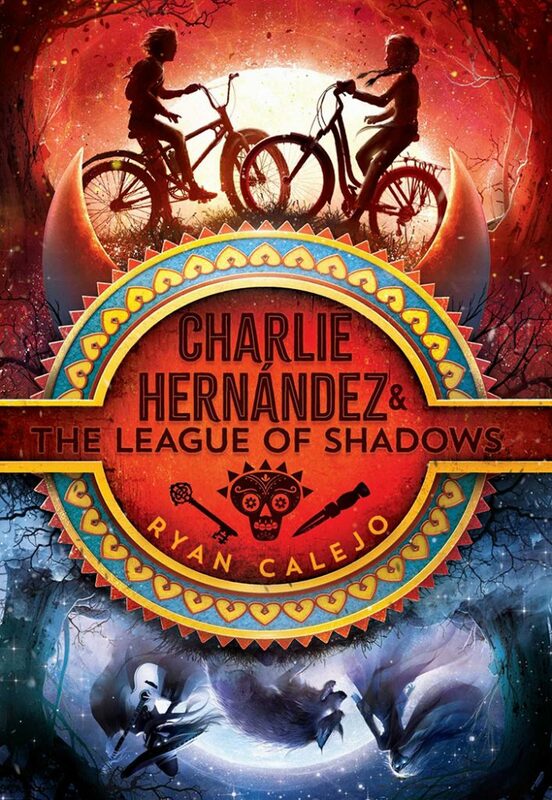 Author Ryan Calejo will be sharing the inspirations behind Charlie Hernandez and the League of Shadows, as well as the Hispanic legends and Latin American culture that runs deep within the story. 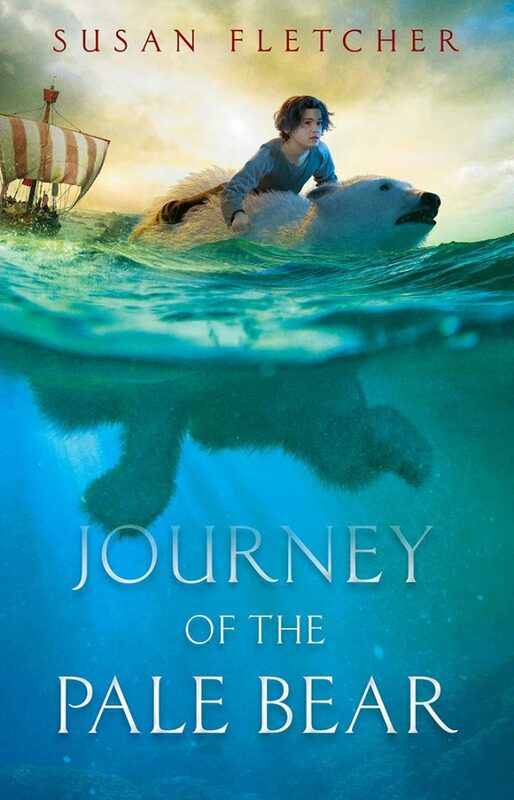 Be sure to check back soon to discover even more about this thrilling adventure! When Julia confides in Cassie that she’ll be leaving with Addie–without telling their parents–Cassie jumps in the car, too. 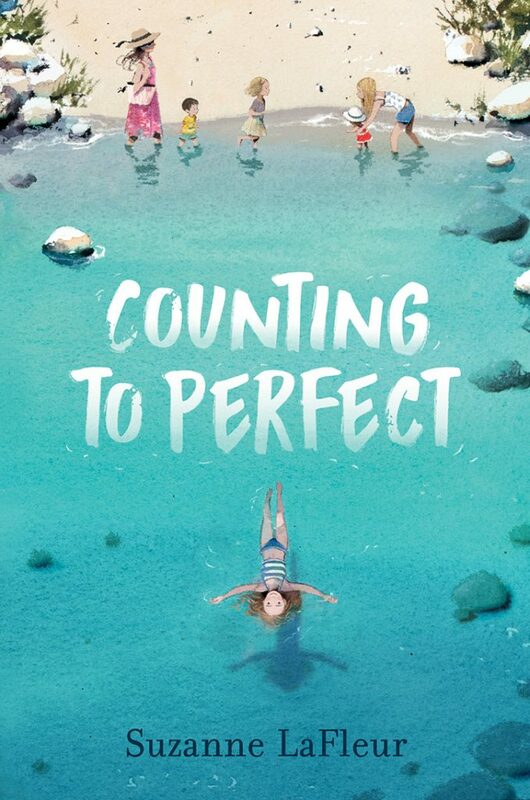 As the days of lumberjack breakfasts and hotel pools start to add up, Cassie has to wonder: Could the sister who seems to be the source of all her problems also be the friend she’s missed the most? Lu is your quintessential pretty boy athlete, complete with fancy cleats, sunglasses, and a lot of attitude. The kind of guy you either hero-worship or want to PUNCH. 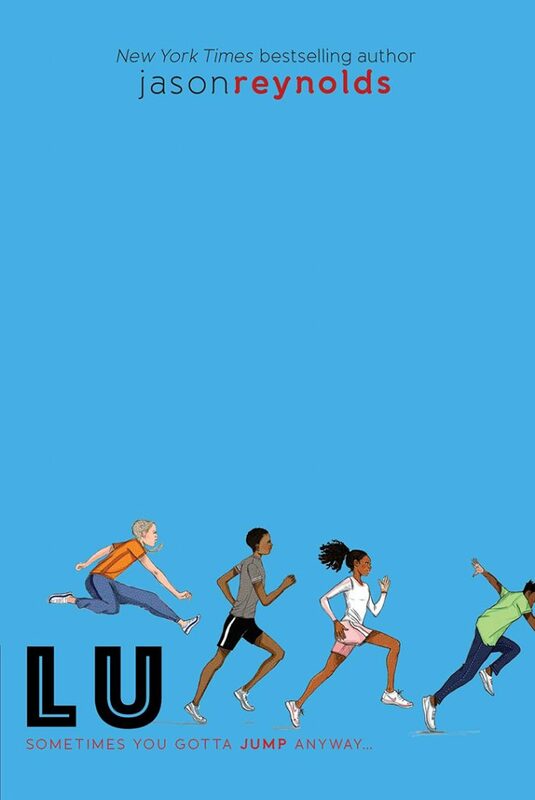 He runs the most loved race—the 400 meter dash—and is crazy talented. He should be—he’s been running track since he was small; because he’s albino his parents got him involved in sports to help with his confidence. But it sort of backfired—now Lu has confidence to spare, and the swagger hasn’t earned him any friends. As in none. Plus, his dad, who also shares his son’s penchant for being flashy, has gotten caught up in some type of illegal activity. The Newbies on the team (Ghost, Patina, and Sunny) don’t put up with Lu’s shining around, but they also don’t avoid him like everyone else does. They call him out on his BS, but include him in the horseplay. Will they be the first kids to crack through his armor and see more to him than the cloak of peacock that hides his lack of color? 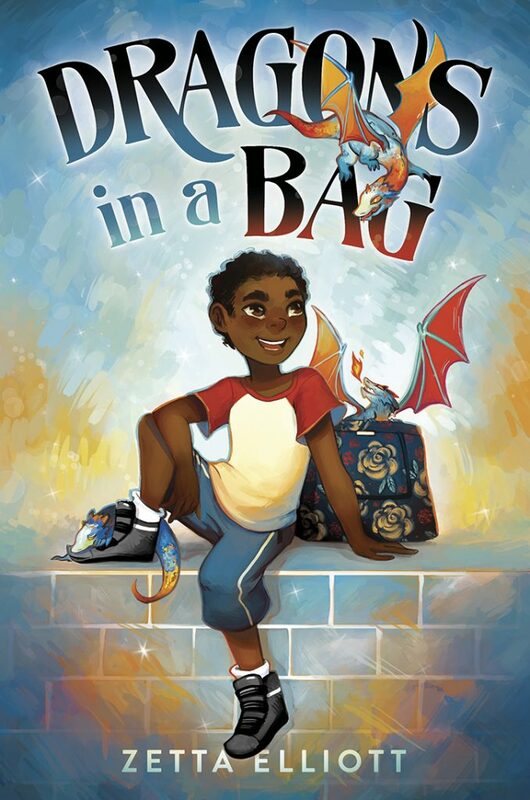 The dragon’s out of the bag in this diverse, young urban fantasy from an award-winning author! 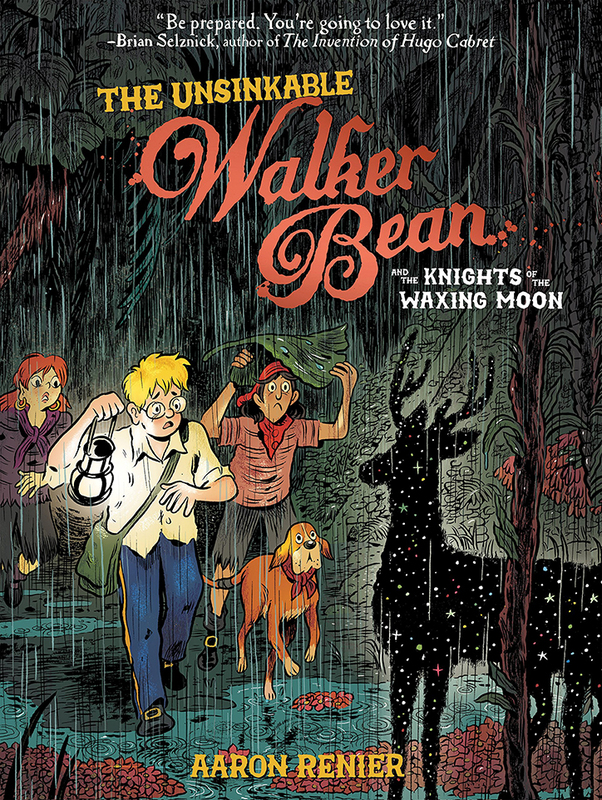 In this triumphant follow-up to the epic graphic novel The Unsinkable Walker Bean, Aaron Renier is back with more breathtaking art and high-seas adventure. Every night, your sleeping body stays in your bed, while the you of you travels deep beneath the earth to ride the complex rails of the Dreamway…. 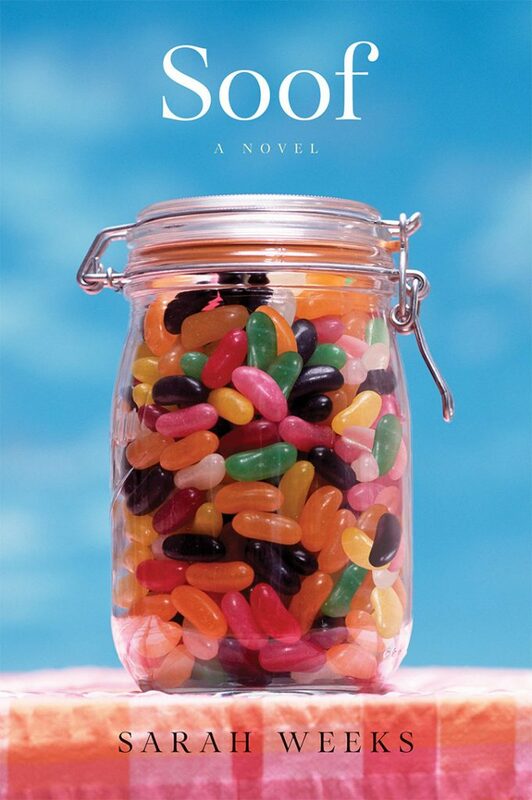 Still in need of more books to read? 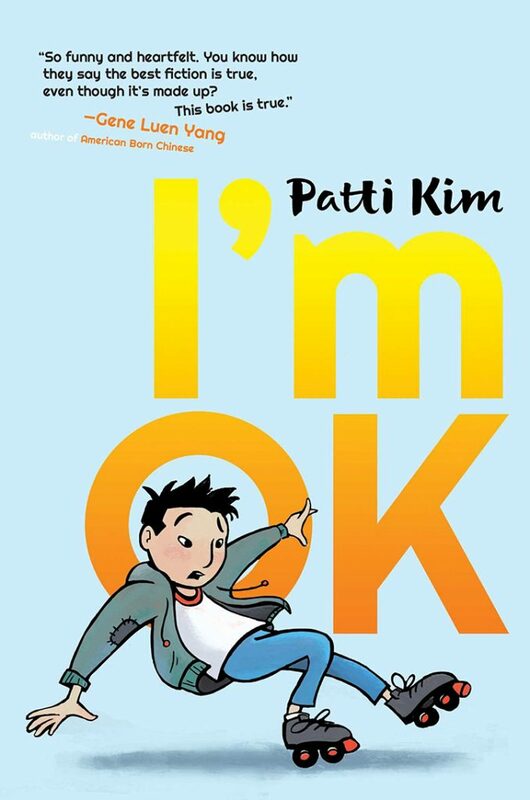 Be sure to check out last month’s YAYBOOKS! 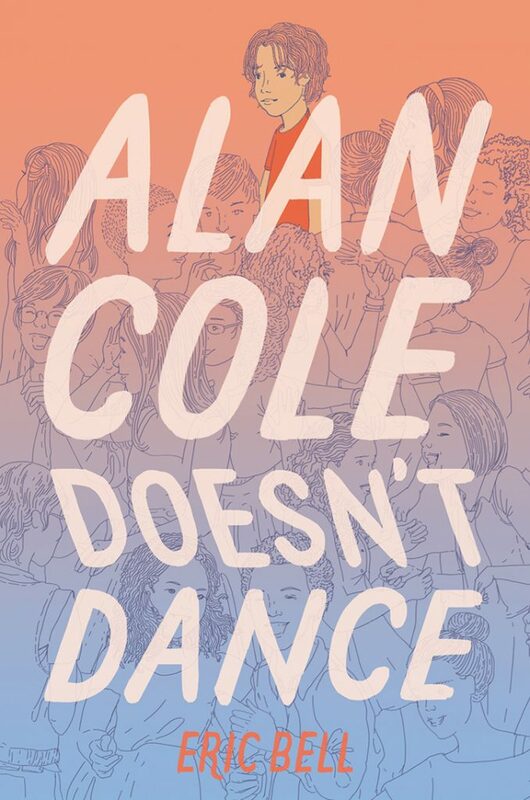 Roundup for over 65 more choices to add to your bookshelf!